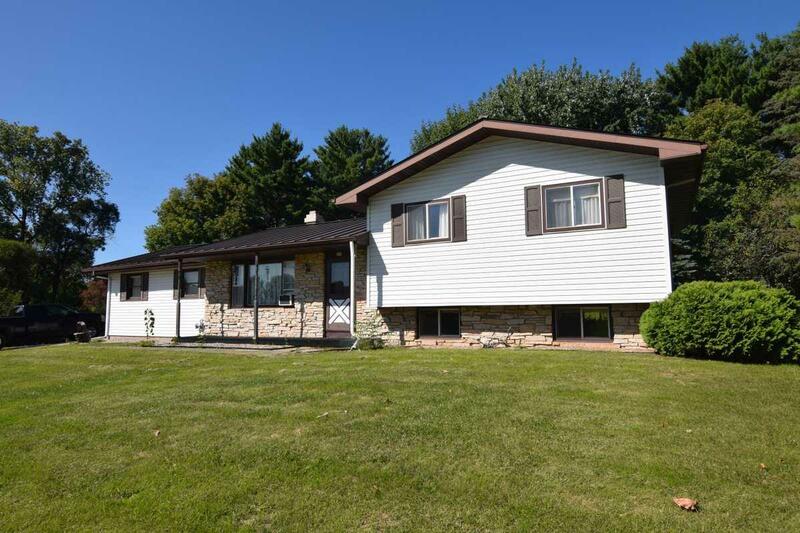 Lovely tri-level home on approx 1.6 acres! 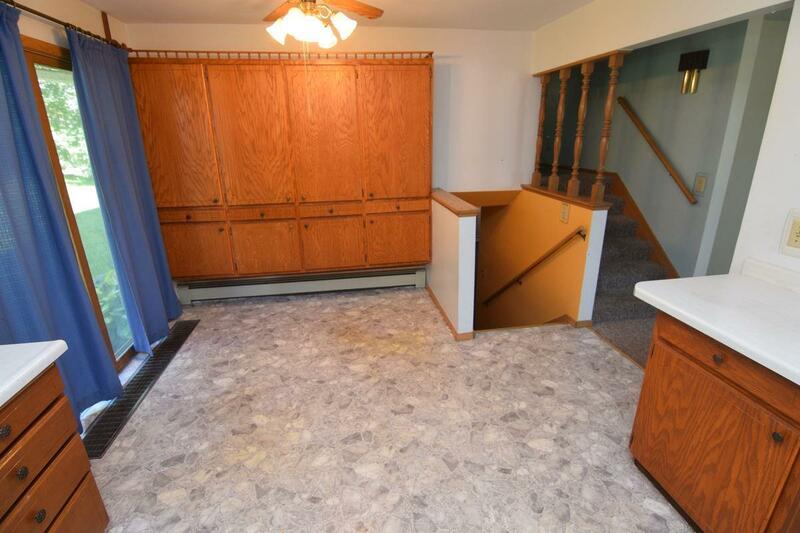 Eat-in kitchen w/built-in cupboards and doors to back patio. Half bath on the main level and a full bath up. 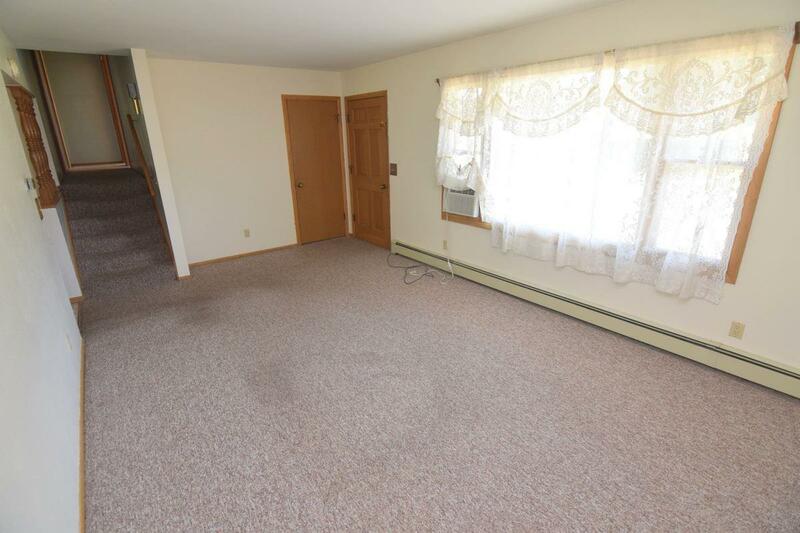 Nicely-finished lower level w/large rec room and laundry room. Newer furnace and hot water heater. Steel roof. Attached garage and an insulated 32x40 shed w/overhead door, workshop, upper storage, and concrete floor. Partially-wooded lot. 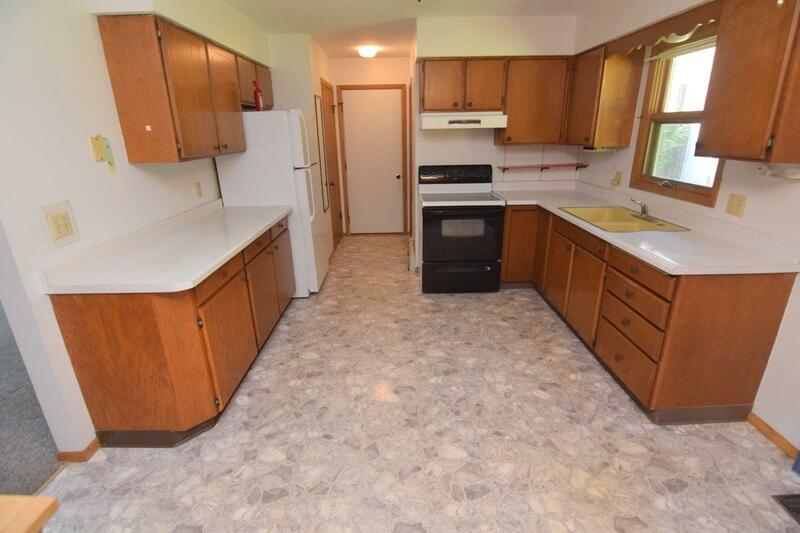 Excellent location near schools and close to the outskirts of town.